A large buildup of reviews can be a real drag. Reviews served up to you daily is what makes a SRS work, but if you aren’t careful, they get out of control. Big numbers discourage you. A discouraged person decreases his studying. I had thought about an option to limit daily reviews (which I probably will still offer in the near future), but I kept trying to find a way to make that review count less intimidating and more friendly. More enticing. More like a virtual pet that is asking you to feed or play with it, rather than a nagging number. 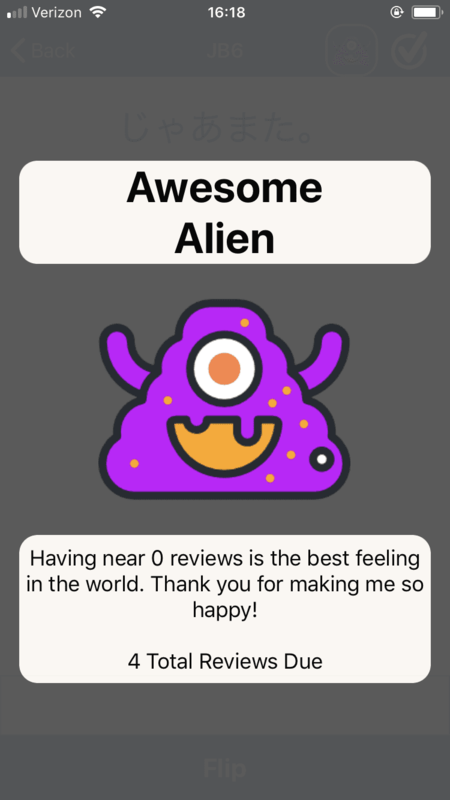 The new review monster feature in version 1.0.5 is the first attempt to try to make you want to complete more reviews. 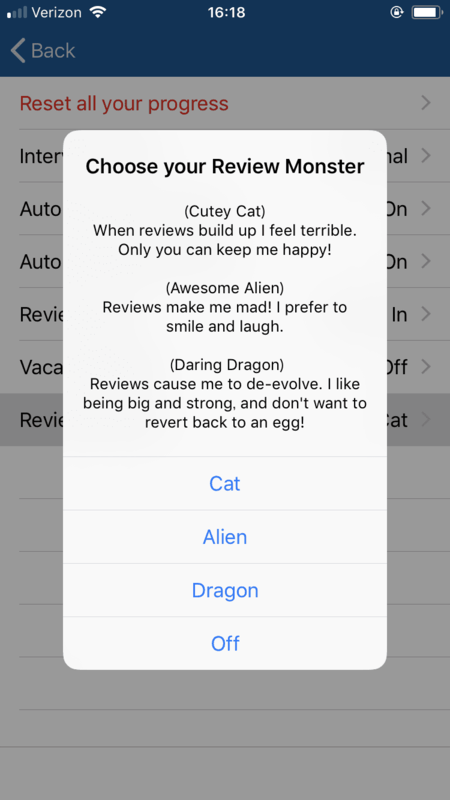 Currently you have the option to choose between 3 review monsters (Cat, Alien, and Dragon). As your reviews build up, your monster starts to get angry, or unhappy, or de-evolve. Lowering your review count makes your monster happy. You’ll see it while you are reviewing to keep you reminded of where you are at. 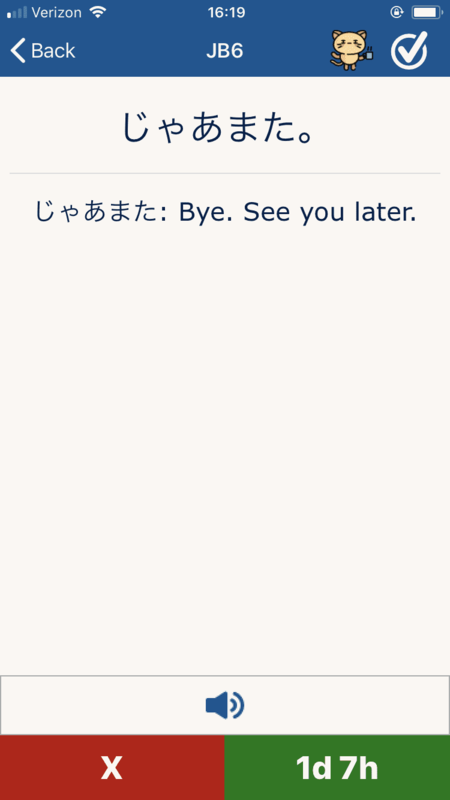 When you click on it, it will let you know how it is feeling. It’ll be with you every step of the way. And don’t worry, for those who have no interest in taking care of a review monster, you can disable it easily from your user settings. Interested in some general information about your progress? 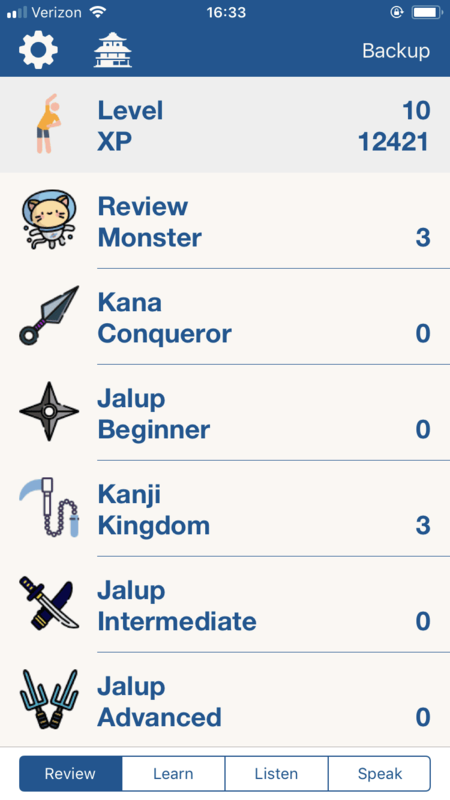 When you click on your user icon row (the row with your XP and Level) from any of the home screens, you are brought to the User Stats/Daily Roundup Page. From here you see some information about your studying You also see all the sentences you learned/reviewed for the day. 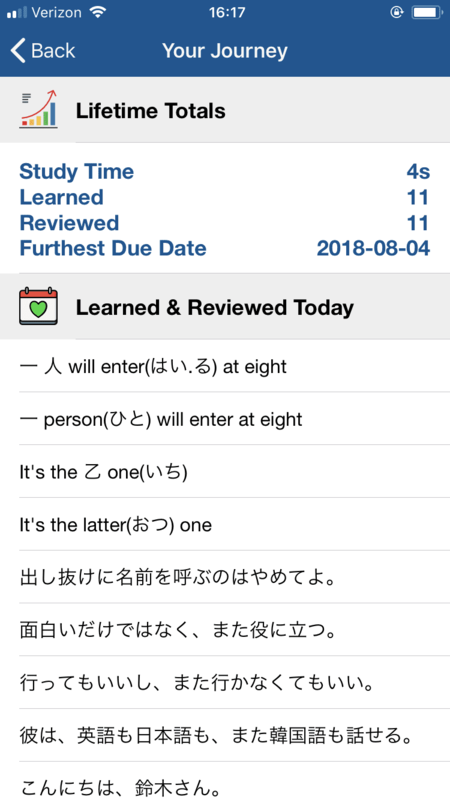 Then you can either click on an individual sentence to copy it to your clipboard (to paste somewhere), or click on the Learned & Reviewed Today row to copy all the sentences you learned/reviewed for the day. This may be extra useful for those who want to keep a log of what they’ve learned throughout the day. User Stats will continue to expand in the future. 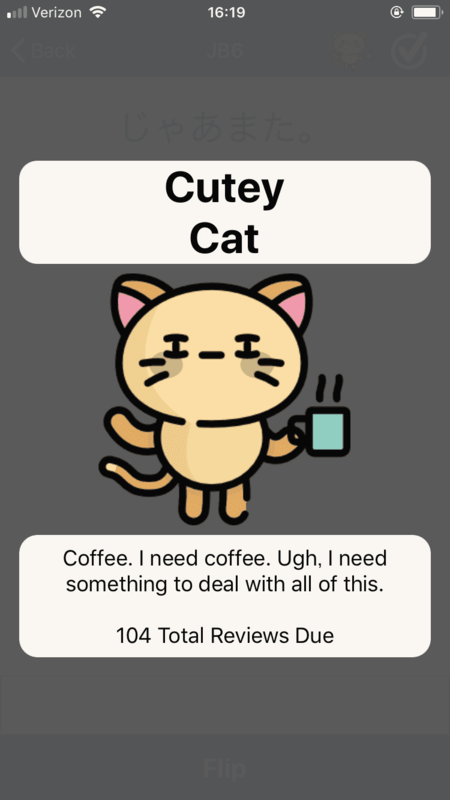 Still haven’t gotten the app? Check it out already :) and don’t forget to leave a review! I love the review monsters so much that I don’t want to miss any of their changes. So each time my monster changes, I check to see what the other monsters are saying. This is a great incentive, and I don’t even feel too silly. Love the review monster idea. Sounds like a nice (and nicely optional) feature to add that little extra bit of motivation and fun. It would be fun for example to have your review monster show up in push notifications and tell you it needs your help (instead of a more generic “you have 50 reviews to do”)! Keep the great ideas coming. Thanks Matt. Yeah, this is just the beginning framework, and will probably be heavily expanded upon in the future. The push notifications are a great idea.